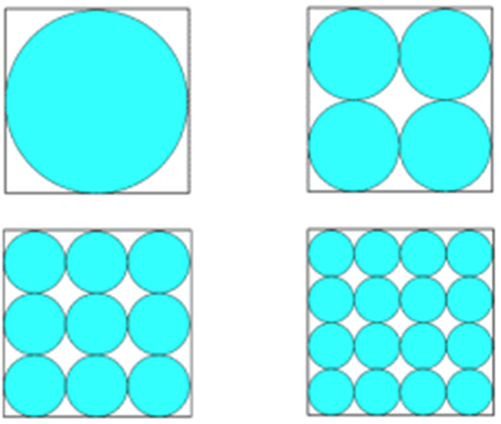 In the examples below identical squares of side one unit contain some circles shaded blue. In which of the four examples is the shaded area greatest? Generalising. Resourceful. Calculating with fractions. Area - circles, sectors and segments. Pythagoras' theorem. Fractions. Creating and manipulating expressions and formulae. Curious. 2D shapes and their properties. Regular polygons and circles.